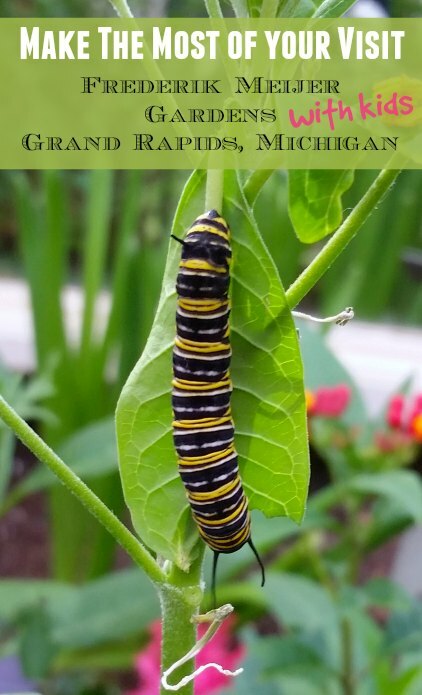 Home » Blog » Family Vacation Destinations » Midwest Destinations » A Visit To Grand Rapids’ Frederik Meijer Gardens with Kids – Worth It? It was easy to see what was in it for me – outdoor art and sculptures scattered along winding paths of natural beauty, a zen garden with fresh flowing water and a tropical indoor atrium full of brightly colored florals. The only thing that I wasn’t sure of was how long my kids would last before losing their patience and asking to leave. 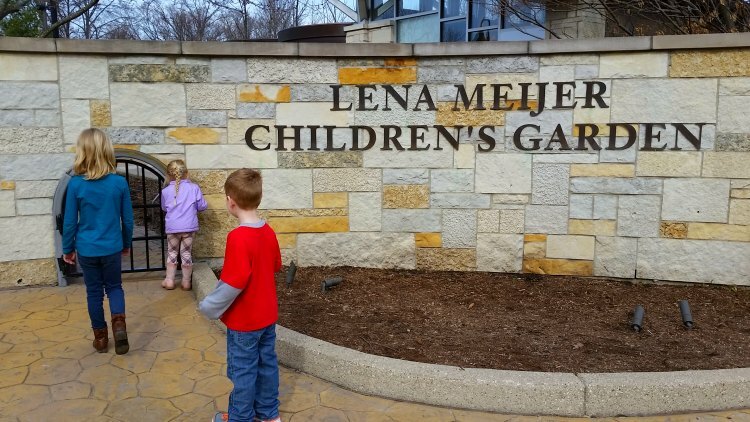 What I found after spending an entire afternoon in the Frederik Meijer Gardens in Grand Rapids, Michigan was that it wasn’t the kids who were asking to leave but the doors closing at the end of the day that finally prompted us to move on. 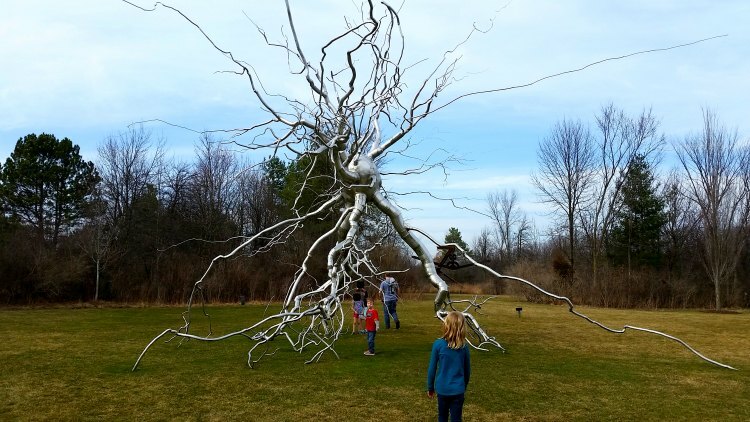 I had heard about the Frederik Meijer Gardens before, but never committed to making a stop because walking through long and winding trails of outdoor art didn’t seem like something that would interest anyone in my family besides me, and I like to try and find places to stop that everyone can enjoy. However, with a recent turn of luck, we were making plans to road trip into Grand Rapids, Michigan again and immediately the gardens popped into my head. This time I decided to look deeper into what it was all about because I really wanted to make a trip here work for my family. After spending some time online, I found out that they had butterflies in the atrium for spring during the time we would be traveling and decided to exploit that fact in order to get my way and schedule a stop. Boy was I glad I did! 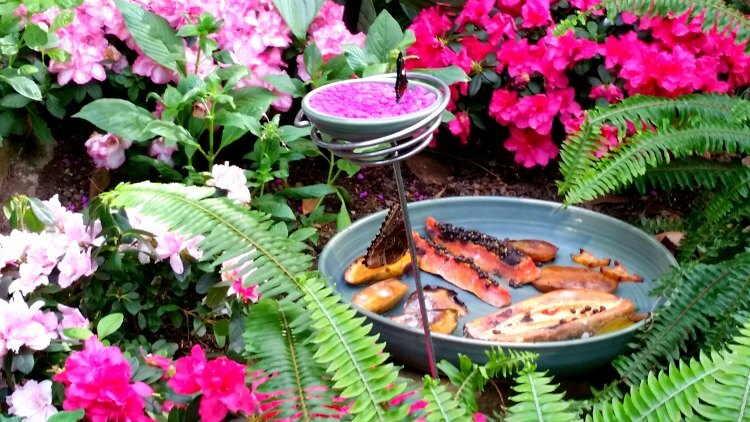 Not only did the Frederik Meijer Gardens have butterflies in the atrium to persuade my family to go, but they had so much more that I wasn’t expecting that caused us all to want to stay all day! Seasonal Attractions – Butterflies in the Spring! – This was our golden ticket. It is what prompted us to finally make a trip to see the Frederik Meijer Gardens and was definitely worth the coaxing on my part. After buying our tickets and walking into the atrium we were at first hit by a damp warmth that wont be felt naturally around these parts for many more months. While the hug of summer and the smell of dirt was more than enough to make this stop worth-while we were next greeted by more butterflies than I think I’ve ever seen in a lifetime! They were happily fluttering around us – taking turns propping up on our heads as if to welcome us to their sanctuary. We walked along paths, under waterfalls and over bridges while watching them dance around us and stop to perch on a nearby flower allowing us to get a better look. My kids were enthralled with their movements and had fun trying to spot their favorites from the picture guide given to us when we entered. This seasonal exhibit runs March 1st – April 30th. Children’s Outdoor Gardens – After finishing up with the butterflies we decided to take a walk outside where we were surprised to find a very large children’s garden waiting for us. All the kids wanted to use the kid sized door to enter and the parents all kept to the walkway which ran several miles of twisted pathways – each step leading to a new adventure. There were sandboxes, tree houses, wood cabins and mazes – all primed with interactive aspects for the kids to manipulate and explore. Inside one of my favorite stops, the cabin in the woods, was a real fireplace piping hot with genuine flames and with board games scattered about for families to sit and play. Sculpture Gardens – Immediately beyond the children’s garden area was another path leading to the outdoor art and sculpture gardens – this is what I came for and couldn’t believe how big it was. The pathway’s were lined with giant sculptures of art – some reaching up so high that the tops of them became faint. There were waterfalls and what looked to be the remains of flowers – our trip happened to be in the spring before everything was coming back to life after the long winter but that didn’t stop me from imagining how lovely this will all be on my next trip back during the summer months! Plus quite a surprise to me, the kids actually found this area fun and loved exploring the twists and turns of the unknown paths. Tranquility Zone : A Japanese Garden Environment for Families – Upon arriving back at the first building we went inside to find warmth and a small tranquility room that would be perfect for younger children to explore and crawl around in. It was an uncluttered room with a small bridge and sand to sit and play with. Michigan Farm Garden – While I didn’t get to explore this area as I would have liked during this visit, I simply cannot wait to come back in the summer and see the fresh fruit and veggie gardens brimming. This not only looked like a fun area to explore but also an educational section of the gardens for the kids. I am so glad that I finally got a chance to explore the Frederik Meijer Gardens in Grand Rapids, Michigan. For more information visit their website at www.meijergardens.org or leave a comment below. Also, when traveling through the Grand Rapids, Michigan area be sure to consider a visit to nearby Lansing – they have even more fun things for families to enjoy together.